May 19, 2015 - "Press Releases"
ARCHDALE, NORTH CAROLINA – May 19, 2015 -----Vecoplan, the world leader in industrial shredding technologies, is sponsoring the #0 Car at the NASCAR Xfinity Hisense 300, May 23rd at Charlotte Motor Speedway, as previously announced. The #0 Vecoplan “Industrial Shredders” Camaro will be fielded by JD Motorsports and driven by Harrison Rhodes. The race is sponsored by Hisense USA Corporation. VECOPLAN is further pleased to announce that the sponsorship of Rhodes’ car has just been expanded. According to Len Beusse, Managing Director and COO – Vecoplan LLC, “It is our privilege to bestow honorary sponsorships of the “0” car to two of VECOPLAN’s good customers, VLS Recovery Services LLC and Piranha Paper Shredding LLC. Not only will the car now bear the VECOPLAN graphics, but the VLS and Piranha logos will be incorporated. As a show of support, and to hopefully increase awareness and visibility of our customers’ respective missions, we decided to honor them with this recognition. The VLS folks will be on hand for the race”. Based in Hockley, TX, VLS Recovery Services LLC has locations in SC, GA, TN, and a second location in TX. VLS specializes in a variety of waste management services, specifically an extensive residual management and recycling program. VLS also offers railcar and container cleaning services. VLS takes pride in employing exceptional ethical, safety, and environmental standards. VLS uses VECOPLAN shredders in their recycling process. 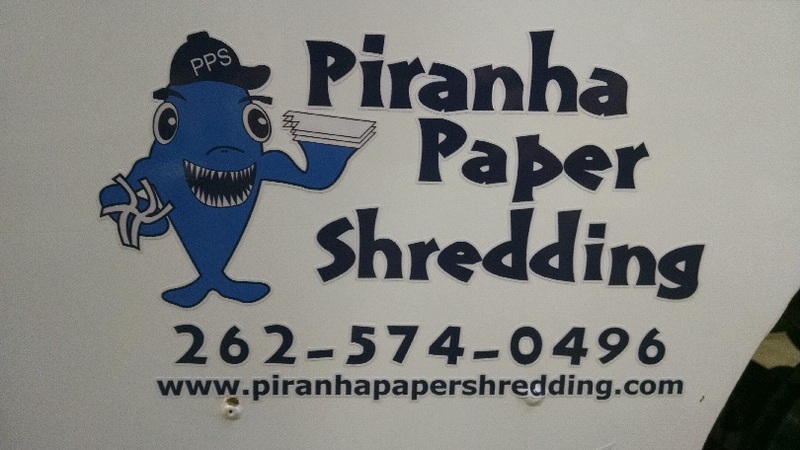 Piranha Paper Shredding LLC is headquartered in New Berlin, WI, near Milwaukee, with another location in Neenah, WI, near Appleton. Piranha is a service provider in the secure destruction industry. Destruction of sensitive information in a safe, secure environment is Piranha's sole purpose. Founded in 1938, they are a long-standing member of their community, and are a NAID AAA Certified Company (NAID is the National Association of Information Destruction, and is the preeminent industry organization recognized for setting the highest standards for ethics and security. Their AAA certifications are highly coveted). Piranha employs VECOPLAN shredding trucks in their operations.